You are here: Virgin Islands News Online » News » BVI Electricity Corporation seeking $35M Loan for expansion! BVI Electricity Corporation seeking $35M Loan for expansion! 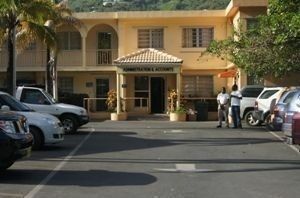 ROAD TOWN, Tortola, VI- The BVI Electricity Corporation (BVIEC) is seeking a loan of $35 Million US to expand its Development Programme. This is according to a motion to be moved by the Minister for Communications and Works Honourable Mark H. Vanterpool at the upcoming February 12, 2015 Sitting of the House of Assembly (HoA). No bank was named to supply the loan; however, it will be backed by the Government of the Virgin Islands, who is the only shareholder of the Corporation. Reading from the Order Paper for the Third Sitting of the Fourth Session of the Second HoA released to the media a few moments ago, no details have been provided as to what the Phase V Development Programme expansion entails, who will be doing the work or a breakdown of how the $35 Million loan request will be used. It also remains unclear, if the project will go out to public tender. 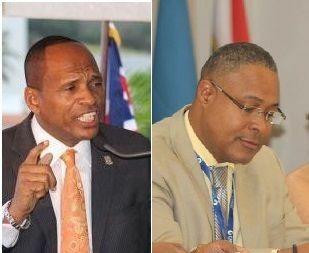 The National Democratic Party has been accused by the main Opposition Virgin Islands Party of ignoring the public tender process and consistently violating both the Financial Management Act and the Protocol they signed with the United Kingdom government for Effective Financial Management. The BVI Electricity Corporation is a statutory body under the Ministry of Communications and Works. Under section 18(1) of the BVIEC Ordinance (Cap. 277), it is stated that the BVIEC shall be empowered to borrow money, charge its assets, undertakings and revenues with repayment of any money borrowed together with interest thereon and may issue debentures, bonds or other securities to secure the repayment of money borrowed together with interest thereon subject to the approval of the House of Assembly, hence why the need to bring the request to the HoA. The BVI Electricity Corporation was in the news recently when in response to the charge made by senior VIP member Honourable Andrew A Fahie (R1) of NDP being the most corrupt government in the Virgin Islands, it (NDP) responded by falsely accusing the Premier in waiting, Honourable Julian Fraser RA (R3), of sending $3 Million from the BVI Electricity Corporation overseas for an engine. However, it turned out to be another NDP lie as the money was sent, according to the VIP Boss Hon Fraser, by Premier Dr Smith’s own son who was the acting General Manager of the Corporation at the time of the transaction. Mr. Governor keep an eye on this loan please. what I am here from electricity people. hmmmm. Maybe you should go to the power station and talk to the common man the regular station operators. its tax payers money, get a receipt for every penny. The loan will be used for phase 5 to buy generators from Wartsila, a company from Finland. The tender process was completed last year in May and was won by Wartsila. There was a public tender opening process. Please don't use the EC in the silly season campaigns. It was the man from the 3rd who said how the money for the generators was to be spent - buy from biwater. So dont blame henry. Want to bet that those generators will be coming from China? Wartsila is a very reliable and famous builder. They do the engines for many of the cruise ships. What are the terms of the loan (interest rates, life)? What will it be secured by? If we are investing in more power generating capacity, what is the service life of the new equipment? What are the anticipated unit costs (KWh) for the consumer? What exactly is this money going to spent on? On another note, should not BVIEC consider buying futures for fuel now that oil prices are cheaper, not that the lower prices of oil are reflected in my bill. Tired of these leaders in the BVI they leading us to the dark and in more debt!!!! We keep pouring money into these generators...but what about solar energy? We need to push an alternative energy source..